Learn about stem cell research and its potential to impact human health. Considering a stem cell treatment? Be informed. Start here. A stem cells blog from the International Society for Stem Cell Research. Learn more about stem cells and their roles in the human body. How today’s research leads to tomorrow’s treatments. Understand the potential and limitations of stem cells as treatments. Subscribe to stay informed, find us on social media and register for free webcasts. 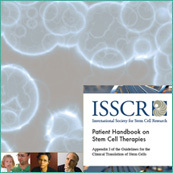 Download a guide to help you evaluate stem cell treatments. Available in 10 languages. Download an introduction to stem cells and stem cell research. 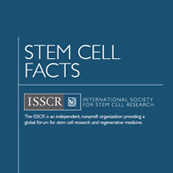 The International Society for Stem Cell Research fosters the exchange and dissemination of information and ideas relating to stem cells, encourages the general field of research involving stem cells and promotes professional and public education in all areas of stem cell research and medical application.